Michelle Jacobs has been in practice for over 25 years and has developed this style of Qigong massage from her understanding of the movement of energy learned through her practice of classical Chinese acupuncture and remedial massage. 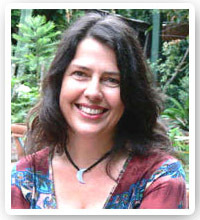 Michelle also runs a student clinic every Wednesday from her private practice in Faulconbridge. $25 for a one-hour session. All treatments are carried out by students and graduates under her supervision. For a copy of the course prospectus or to book into the student clinic please ring Michelle on 47514235.